THE AUSTRALIAN barley industry is coming to terms with a rumour that yesterday become a fact: the Chinese Government is launching an investigation into the pricing of Australian barley. Announced yesterday by China’s Ministry of Commerce (MOFCOM), the investigation is believed to cover pricing by a number of companies from at least October 2017 to September 2018, and possibly as far back as 2014. The announcement has created uncertainty and confusion, particularly in Western Australia as it powers through its high-yielding harvest, and the best the industry can hope for is that the China’s pricing probe into Australian barley ends as did its investigation into United States sorghum. China announced an investigation into US sorghum early this year which prompted the Chinese Government to impose an import duty of 178.6 per cent on the grain. The duty caught up to 20 cargoes of US sorghum on the water. Destinations other than China absorbed the US export surplus prior to China in May terminating its anti-dumping case against the grain. Three schools of thought exist as to why China has called an investigation into Australian barley pricing: politics, stocks, and internal pressure. Political motivation may come from Australia’s allegiance to China’s bugbear, the United States, or Australia’s own relationship with China, including its recent refusal to allow China into Australia’s 5G network. Recent massive upward revisions in China’s grain stocks are believed to be depressing the country’s internal markets, and that looks to be creating internal pressure on the Chinese Government. According to reports in the Chinese media, members of the China Chamber of International Commerce (CCOIC) have accused exporters of dumping large amounts of Australian barley at values below the world price, and this has hurt Chinese producers. Market Check head of strategy, Nick Crundall, said the company believed the investigation was “purely politically driven”, because the likelihood of Australian barley being dumped into the Chinese domestic market was extremely low. “There’s a chance we might see a tariff or deposit structure implemented,” Mr Crundall said. “A deposit — similar to what was imposed on US sorghum recently — means a payment of some percentage of the total shipment value made prior to delivery, which is then reimbursed if no tariff is implemented. Several lists of companies which have been named for pricing investigation have been circulating in the trade, but have not been made available to Grain Central. Sources have reported CBH Group, as WA’s key bulk handler and exporter, is on all of them. Spokespersons for CBH and for GrainCorp said they were not providing any comment on the investigation. Plum Grove, a Perth-based company which has not exported bulk barley to China, is also on the list, as are several small operators like Australian Growers Direct, which have shipped neither bulk nor containerised grain to China. Noticeable in its absence is Glencore, which through Viterra, is South Australia’s major grain bulk handler and exporter. GrainCorp is believed to be on this list, but due to the drought in eastern Australia, is unlikely to be selling any cargoes of grain from the harvest currently under way. ADM is believed to be the only multinational listed among the companies to be investigated, while neither Bunge, Cargill, LDC, nor Chinese trading house COFCO, have yet been mentioned. ADM did not respond to Grain Central’s request for comment. Mr Crundall said bids across the board were pulled as people worked through what the investigation might mean for the Australian market. “Broadly speaking, we’ve seen the market move $10-20/t in WA/SA, and slightly less on the east coast. “We’re recommending to our clients to not panic and trust in the fundamentals of the market, which remain strong. “China will struggle to supplement Aussie FAQ/malt from other origins, so we would imagine our malt will make its way to China at some point. “In any case, feed barley offers out of WA in the wake of this announcement are now the cheapest globally, and the east coast is still pricing WA imports. Australia’s eastern states use around 10.5 million tonnes (Mt) of grain, and are already buying as much as they can from SA. That leaves WA, already shipping grain to eastern Australia, as the only state with a sizeable export surplus. Australia’s Grains Industry Market Access Forum (GIMAF) executive manager, Tony Russell, said companies targeted for investigation had 20 days to register an involvement in the case through the Chinese Government. “If you have been exporting and you plan to continue exporting, and they want to investigate you, they can put a punitive measure on your shipments. Mr Russell said it was important to remember that the investigation was directed at companies, not at the Australian Government. “The nature of anti-dumping claims is they are alleging that a company has been involved. Trade sources said there had been no questioning of the ability of Australian barley to meet China’s specifications, and even if export permits for particular companies were revoked by the Chinese Government, they could still sell cargoes to shippers which had not been delisted. Companies which have appeared on the list to be investigated, or feel they might be added to the list, are now believed to be going through their export and domestic contracts, and foreign-exchange and freight records, to prepare material which may be called for during the investigation. China is Australia’s single biggest grain market, and imports a tonnage well ahead of the 4Mt or so Australia annually ships to its biggest wheat customer, Indonesia. China regularly buys 2-3Mt of Australian malting barley, and up to 4Mt of feed, each year. “In terms of a single grain, barley to China outshines every single market Australia has,” Mr Russell said. Last year, China imported a total of around 6.5Mt of Australian barley, and has also been importing up to 1.5Mt of wheat, and 1Mt of sorghum. One trader said China had no interest in excluding Australia barley, and the investigation was being conducted to allay concerns held by parts of its domestic market, especially as the drought in eastern Australia pushed fob values above export parity. This has boosted values for FAQ as well as malting barley. Lachstock Consulting said news of the investigation chopped $20/t off WA barley prices, which rebounded $10/t. “China’s investigation will not conclude until May 2020, so it’s unlikely to impact exports this season. 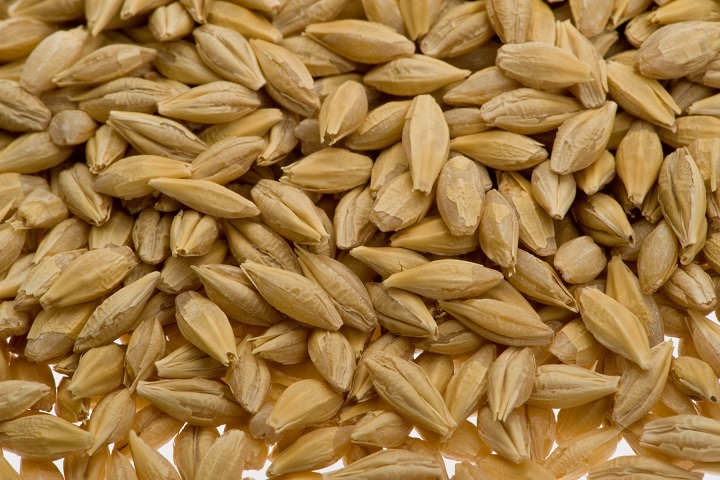 Grain Central understands officials from the Australian Government’s Department of Foreign Affairs and Trade (DFAT) have met with MOFCOM officials, and are doing all they can to minimise the impact of the investigation on Australia’s barley market in China. DFAT has not yet responded to Grain Central’s request for information on the subject of China’s investigation into Australian barley pricing.